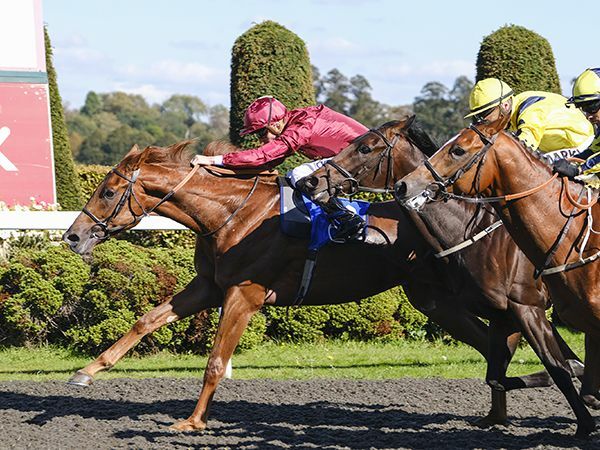 The Ralph Beckett-trained FEARLESS WARRIOR made all to win the British Stallion Studs EBF Novice Stakes at Kempton this afternoon, winning the 122nd Tattersalls October £25,000 Book 1 Bonus in the process. The smart son of SEA THE STARS won a total of £30,822 for his owners Qatar Racing Ltd and Kin Hung Kei. 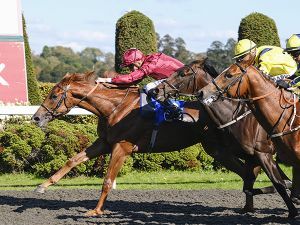 FEARLESS WARRIOR is out of the dual Listed winning KINGMAMBO mare MAMBO LIGHT and was sold at Book 1 of the October Yearling Sale by Haras du Mézeray to David Redvers & Meridian International for 340,000 guineas. The £25,000 October Book 1 Bonus is only for graduates of Book 1 of the Tattersalls October Yearling Sale. This year’s sale takes place from October 9 - 11.